A luxury crewed catamaran charter offers the perfect setting for the ultimate family getaway- space, privacy, luxury and comfort at affordable prices that are somewhat unique in the world of yachting. For those who want to combine sailing, comfort and relaxation in some of the most exotic destinations in the world such as the BVI, Greece and Seychelles, we would highly recommend chartering a luxury crewed catamaran. Catamarans are ideal for escaping to sea with family and friends, in whatever destination you please, be it Croatia, Sicily, Sardinia or the Amalfi Coast. If you are unsure which destination is right for you, check out our itineraries to get a sample of what you could look forward too! Catamarans enable guests to discover beautiful bays, treasured coves and take you closer to the water than imaginable! With exceptional deck space, endless al fresco dining options and a lavish trampoline for sunbathing, you can unwind and enjoy the entertainment options to your hearts content. 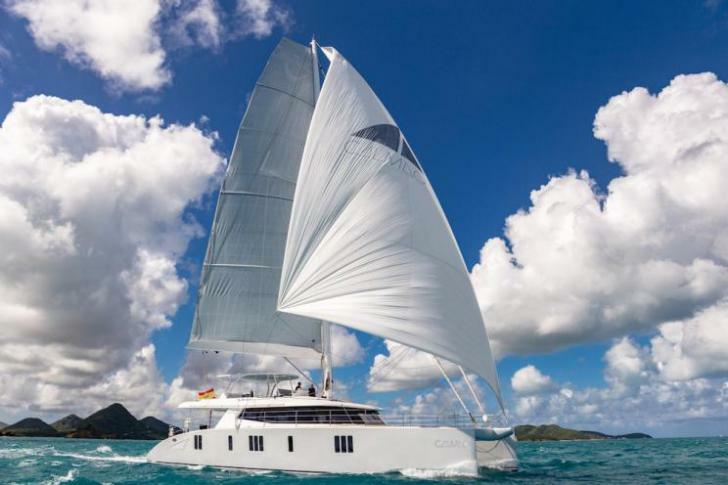 With experienced crew, modern furnishings and unique fittings, a catamaran can feel as luxury as a motor yacht, with the added benefit of enjoying the freedom of a sailing yacht. Great views from the spacious salon give you the feeling of being "on top of the world"
Reduced seasickness (cats don't roll as much as a monohull). See more tips about how to reduce seasickness. When hiring a Crewed Catamaran, you are also hiring a dedicated, knowledgeable crew that ensure clients a great charter experience. It's both their passion and their job. The crew knows the boat and the waters, can solve problems when they arise, and often become long lasting friends. They also take care of all the daily chores: sailing, navigating, mooring, cooking fabulous meals and putting cold drinks in your hand at sunset. While you can charter a bareboat and add a skipper, genenerally you get a bit more from a crewed cat because they are dedicated to (and often own) the boat, so often go the extra mile! However, Don't worry about the privacy on a crewed yacht- generally the crew quarters are separate if you wish to spend time alone. Where you want to visit is completely your choice- from the crystal clear waters of the BVI to the endless secluded coves of Greece and the magical marine life of the Seychelles, our team of brokers are dedicated in finding the perfect catamaran for you and your family. When you ask us to help you with your charter, we become your Agent. Our job is to find you the right boat, and we do not charge you for this service. We work for you, and will be objective and un-biased as to which boat(s) we propose to you. We know the boats and crews, and can match your needs to the right yacht. Some crews work best with a more energetic, "party oriented" group, while some focus more on the relaxed, luxury outdoor experience. Any yachts we suggest will take this type of requirement into consideration and will be well suited to making your holiday the best you've ever had. Our reputation, ethos and enthusiasm will ensure that we pair you with the ideal yacht, so every party wins! In order for us to find the right yacht, first we need to know which boat will be right for you. The more information you give us, the better we'll be able to meet your needs. Keep reading below to learn more about the Crewed Catamarans, or skip right to the enquiry form and we'll start working on your charter right away. Newlyweds are discovering that one of the most romantic honeymoons possible is on a luxury crewed catamaran, with total privacy and personalised itineraries that combine secluded beaches, sunset candle-lit dinners, relaxation, and pampering. Many crewed catamarans make this a speciality, and pull out all the stops to make the honeymoon a romantic experience. On a yacht you can go to the best beach clubs, dazzling beaches and pull up in the sought after towns, yet all from the privacy and comfort of your yacht, giving you the best of both worlds! If you're interested in a honeymoon charter - please see our Honeymoon Yacht Charter page. Crewed Catamarans generally are all inclusive (crew services, meals, open bar, etc.). Prices start at $4000 per couple per week (not including tip), and rise from there depending on the level of luxury you desire and the size of the yacht. The process of chartering is straightforward, especially if you'll allow us to guide you through it. 1. Just fill out our Charter Proposal Form, giving us as much information as possible about your needs, likes and dislikes, and we'll provide information and pictures of boats that we feel best suit you. 2. If you want to look through our boats yourself, just click to see our crewed catamarans we offer worldwide. You can sort them by location, type, size, cabins etc to narrow down the selection. Then simply make an enquiry on that boat. Note that charters vary dramatically in terms of quality and focus, and at some point we highly recommend that you allow us to advise you on which is best. We have beautiful crewed catamarans in charter destinations all over the world. Wherever possible we see the boats, meet the crews and look for references and testimonials. 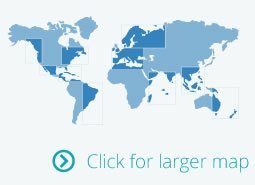 If you would like more information on charter destinations, we have hundreds of articles that can be found by clicking on "Which Destinations?"